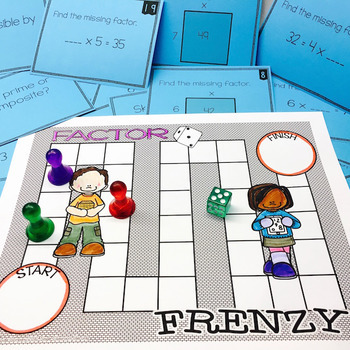 Students practice locating and determining factors in a variety of ways with this multi-use resource. 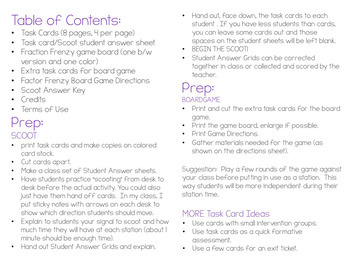 Task cards can be used for a small group math center, intervention groups, formative assessment, and whole class scoot game. 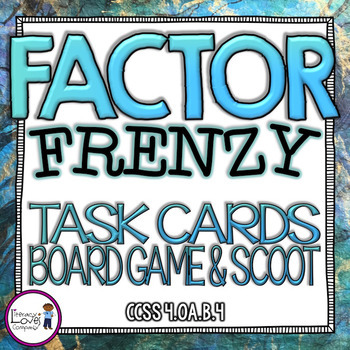 Also included are extra task cards and an engaging board game option for more factor practice. •Determine which number IS a factor of given number. •Determine which number IS NOT a factor of a given number. 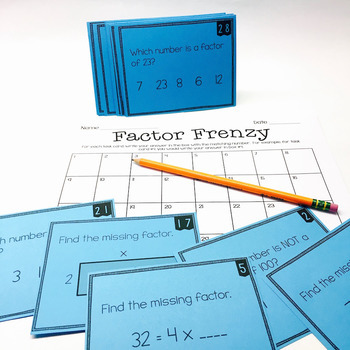 •Find the missing factor in an equation. •Find the missing factor in an area model. •Determine if a number is prime or composite. •Determine if a number is divisible by another number. •Find the factor pairs for a given number. ★ Please take a moment to check out the preview of this product in order to get a better understanding of the content and quality before purchasing. ♥ Want to save money on resources? Follow me by clicking the green ★ under my store name. You will receive email notification whenever I add a new resource to my store. All new resources are offered at 50% off for the first 48 hours! ♥ ♥ Want to save EVEN MORE MONEY? Leave feedback and ratings on purchased resources for TpT Credits. Use these credits toward discounts on future products.